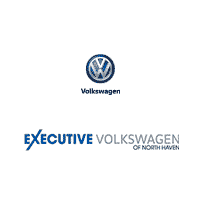 Save on Volkswagen service, parts, accessories, and even repairs with OEM specials at Executive Volkswagen of North Haven. In addition to the fantastic event promotions below, our dealership offers a number of coupons for your benefit. You are sure to find the perfect service related discount for you and your VW. We regularly provide peace of mind for Volkswagen service customers from throughout the North Haven area and beyond. Bring your car or SUV in to see our team today! Whether you need routine maintenance or a major repair done on your Volkswagen, our highly-skilled technicians will make sure your vehicle is running smoothly on the streets in no time. Our expert staff has experience working with a variety of new and used models over the years; so you know you can count on us to get the job done right! We also only use genuine OEM Volkswagen parts to ensure that your car leaves our service center as good as new. Why else do our New Haven area choose to service with us? We provide a free shuttle service so that you can easily go back to the comfort of your own home. If you don’t mind waiting in our cozy lounge, you can enjoy free Wi-Fi, coffee, and other beverages. If you have children, you can keep them entertained in our kids play area. We understand the burden of having your day interrupted, so we are more than willing to cater to you! If your car requires a longer repair process, don’t worry. We also offer rental vehicles! If you have questions about servicing your Volkswagen or would like to speak with us, please don’t hesitate to contact us at (855) 250-6818. We’d be more than happy to assist you!